View from the terrace of the Gallery Remixx in Graz. 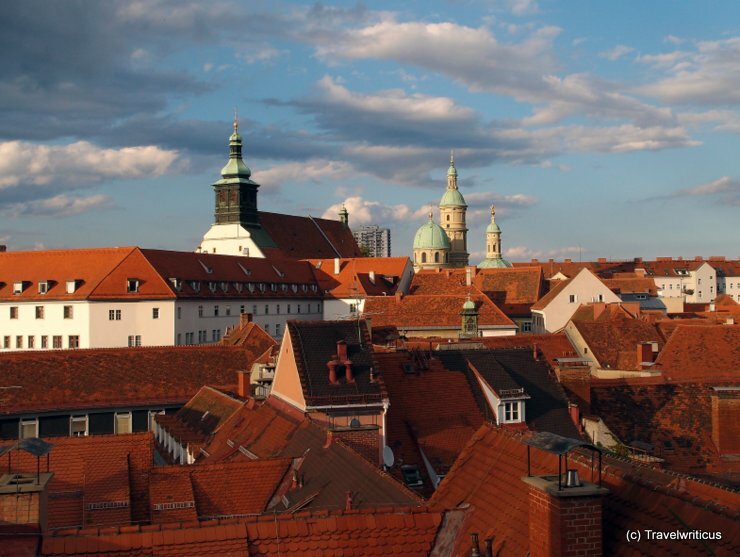 The church on the left side is the Cathedral (Dom) of Graz, the three spires on the right side belong to the Katharinenkirche and the mausoleum of Emperor Friedrich II. 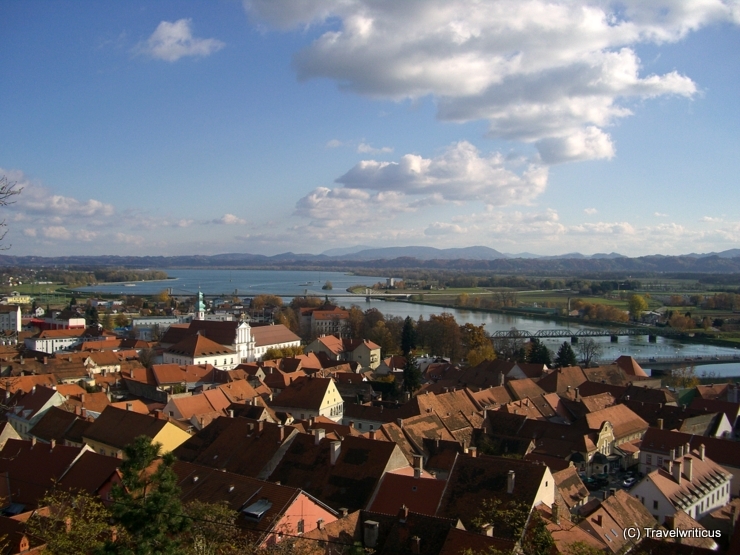 A view over the rooftops of Ptuj taken from the castle high over the city. From there you can see how the Drava River turns into an artificial lake (Ptuj Lake) due of a nearby hydropower station. On the lake there is much place for aquatic sports. 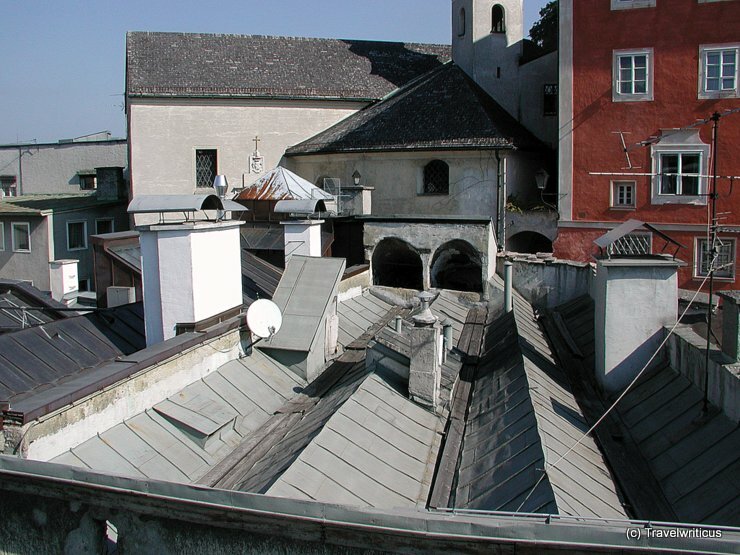 View from the Steinterasse to the Salzburg roof landscape. The Steinterasse is a café on top of Hotel Stein. From there you have not only a great panorama view of the most iconic sights of Salzburg but you can also take a look at the small-structured roof landscape near the Steingasse and the Kapuzinerberg.